The Wallet feature has become available for all SmartBots customers. This is an option to keep your subscriptions active – especially during upcoming Christmas and New Year holidays. You can fund money to the Wallet and system will automatically use them to prolong your subscriptions (either groups or personal bots). Wallet can be loaded with L$, PayPal and credit cards, making the payments easier in some cases. 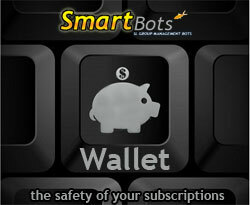 With a new Wallet the bonus and discount system of SmartBots becomes more flexible. 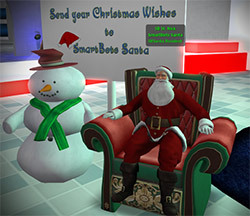 To show that, we give the special Christmas bonus – 20% – till Dec 29th. Merry Christmas!